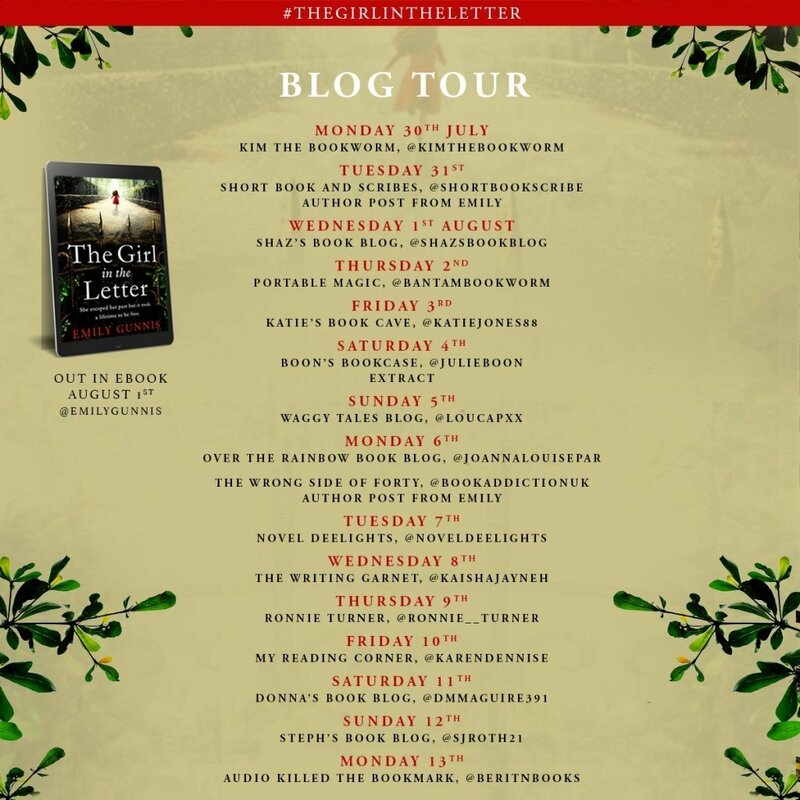 When I was invited onto the blog tour for The Girl in the Letter by Emily Gunnis I jumped at the chance. I’d previously spoken to Emily’s agent and she told me that she felt that this book was really special and I totally agree. From the very first gripping page to the very last, this book was one of the most compelling books I’ve read. I was only on page two when tears streamed down my cheeks. The first of many from this extremely emotional and brilliantly written novel. The story starts in 1956 when Ivy is sent to a home for unmarried mothers and there are parts of this storyline which were really tough to read. I wanted to jump into the book and rescue all the girls in the home and wrap my arms around them and protect them. 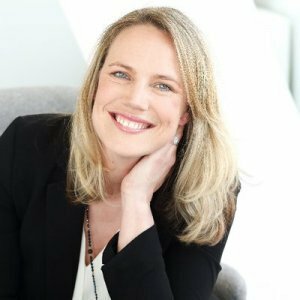 Then in the second of the book’s dual timelines, we meet journalist and single mum Samantha who is finding it really hard to juggle her life, her work and her daughter but has the help of her amazing Nana. 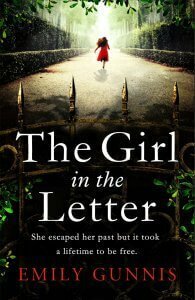 She reads a letter which leads her to investigating further and she finds out way more than she bargained for. All of the characters in the book were strong and perfectly created with enough back story for you to relate totally and warm to them. The switch between the timelines happens seamlessly and life took a backseat in my world while I immersed myself into the two other worlds and the mystery unfurled finally revealing many many secrets. I found it quite amazing that 1956 wasn’t actually THAT long ago and yet these atrocities were allowed to take place. And by people in a position of trust who really should have known better. That part made me really angry and absolutely made it such a harrowing read at times. I was so enthralled and almost obsessed to see justice. Unbelievable that this is Emily’s debut novel, she’s a very talented lady, but then I discovered that her mum is Penny Vincenzi and I predict a long and successful career just like her mum if this book is anything to go by. She’s an incredibly gifted writer and I cannot wait to read more from her. A highly recommended, heart-breaking, stunning read. Buy this book via Amazon UK by clicking here. There are lots of other bloggers on the blog tour for this book so don’t just take my word for it. Check out these blogs over the next couple of weeks or so and see what these amazing bloggers say about it too.